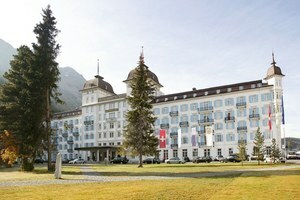 "SwissVacationHotels" provides information about a personal selection of Hotels in Switzerland. The hotels we promote are selected for amenities, quality and service, price-value ratio, location or uniqueness. Regular inspections of these hotels are done by SwissVacationHotels and we consider them among the best hotels of their respective category and destination. "SwissVacationHotels" facilitates direct communication with each partner hotel; you can request information and make reservations at the best hotels in the popular Swiss destinations yourself. On every individual hotel page, you will find a detailed hotel description including amenities and location, and you can directly contact the hotel of your choice via E-mail to inquire about availability and to reserve your room at the best available rates. To complement our choice and providing you with additional hotel options in Switzerland, we feature the Swiss Travel Centre (STC) through which you can book more than 2,000 hotels in real time. STC is a joint venture of the Swiss National Tourism Board, the Swiss Hotel Association, the Swiss Federal Railways, Gastrosuisse and Europcar. Interhome offers more than 3,000 private homes and vacation apartments in Switzerland. All properties are checked on a regular basis and can be booked online. 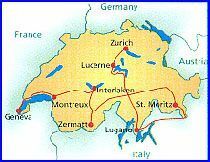 Be sure to check Interhome's "special offers" and "last minute deals" for all of Switzerland. If you are not familiar with Switzerland and the places you are planning to visit, our Swiss native travel agents gladly assist you planning and booking your vacation. We consult you for the best personal vacation itinerary including the booking of transfers, Swiss Rail Pass, scenic trains and the hotels which best fit your needs. Please complete the vacation planner of our sister site SwissVacations as detailed as possible and we will contact you to design your perfect Swiss vacation.